In the event of workplace injury or illness, workers' compensation benefits are available to cover your medical bills and treatment costs. Benefits are also available to cover your lost earning potential and your inability to work. Your ability to provide for yourself and your family could come down to the application process for disability. This process can be complicated, requiring medical records, doctor's opinions and paperwork. 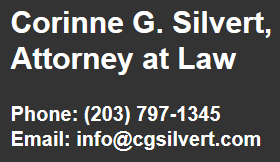 Attorney Corinne G. Silvert, in Danbury, Connecticut, provides experienced and skilled representation to workers and their families during the disability application process. Whether you are completing the initial Notice of Claim or contesting a denial, she will handle the details of the process and represent you in each hearing, working toward the most successful outcome possible. For assistance with workers' compensation and applying for disability following a permanent partial or permanent total disability, call our law firm at (203) 797-1345. In Connecticut, the determination of workers' compensation amount depends upon the limitations of the worker, and the amount of his or her loss of earning potential. It is up to doctors to determine the level of disability. A worker with partial disability will receive less than a worker with permanent disability. A permanent disability is broken down into permanent partial disability and permanent total disability. A permanent partial disability could be an injury that prevents the worker from performing his or her current job. This could include amputation of a certain body part, nerve damage, loss of vision in one eye or back or neck injuries. A permanent total disability is an injury that completely prevents the worker from any kind of work. This could include paralysis, traumatic brain injury or loss of both limbs. 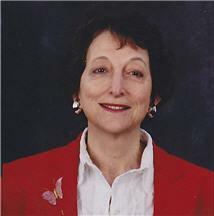 Attorney Silvert will evaluate your situation and provide customized strategies and solutions. To contact our office and discuss your situation with an experienced workers' compensation lawyer, call (203) 797-1345.